Lithuanian software company, Neurotechnology has announced the development of a 3D printer that operates using ultrasonic particle manipulation. 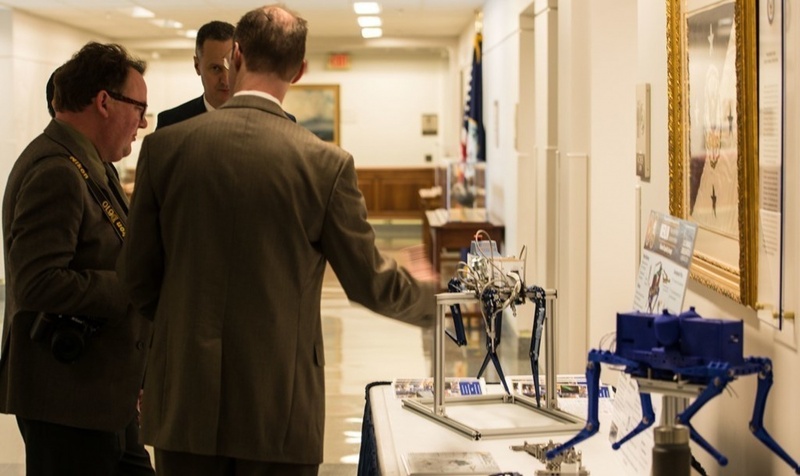 The ultrasonic 3D printing technology was demonstrated by the company’s Ultrasound Research Group and has particular potential for electronics. Research engineer and project lead for Neurotechnology’s Ultrasound Research Group, Dr. Osvaldas Putkis explains the patent-pending 3D printer will use a variety of materials in order to produce electronic objects that are entirely 3D printed. Putkis says the 3D printer is “capable of printing virtually anything” and points to the example of a smartphone with all its components printed from a single device. Gif shows suspension of small material using ultrasonic transducers. Images via Neurotechnology. Using ultrasonic transducers, the research group manipulated small materials and even electrical components to a high degree of accuracy. The prototype device can transport electronic components to a specific location and then solder them with a laser. 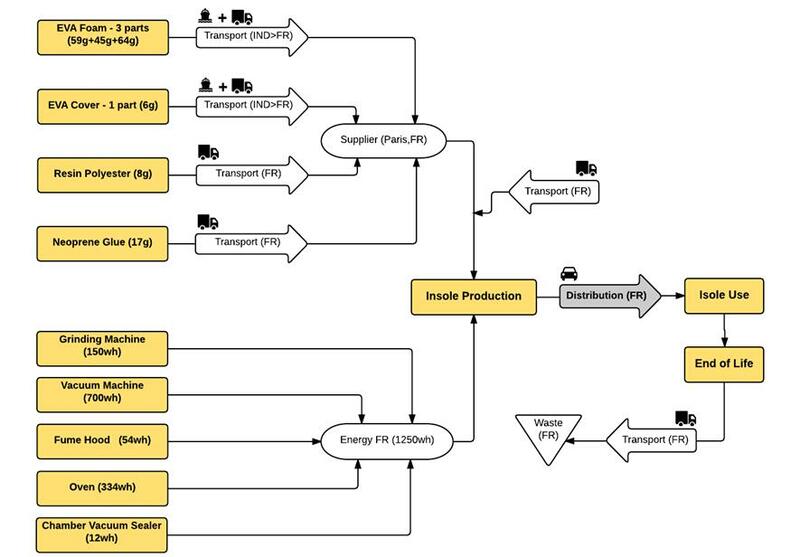 The process is enabled by a camera which determines the position of the substrate and materials. 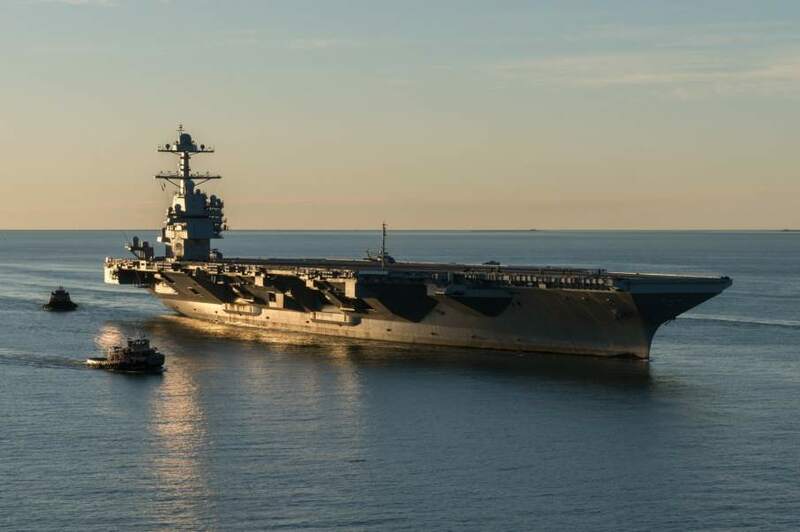 Ultrasonic technology has been used for 3D printing prior to this with Ohio-based company Fabrisonic. However, Fabrisonic’s patented technology uses ultrasonic sound waves to weld thin layers of metal sheets together. The company was recently granted a new patent to incorporate the technique into hybrid machinery. 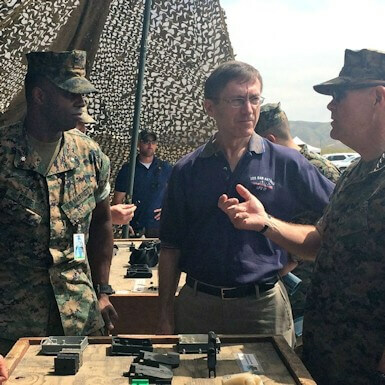 Gif shows the manipulation of foam material. Images via Neurotechnology. Ultrasonic manipulation can handle a very large range of different materials, including metals, plastics and even liquids. Not only can it manipulate material particles, it can also handle components of various shapes. Other non-contact methods, like the ones based on magnetic or electrostatic forces, can’t offer such versatility. The non-contact nature, combined with high accuracy, means the system can control very small and sensitive particles without damaging them or affecting their electrostatic forces. The scale of component sizes can be from a number of millimeters down to sub-millimeters. Similarlly, we’ve seen how 3D printing has been used to create a tractor beam device that can suspend materials with transducers housed in a 3D printed cup. 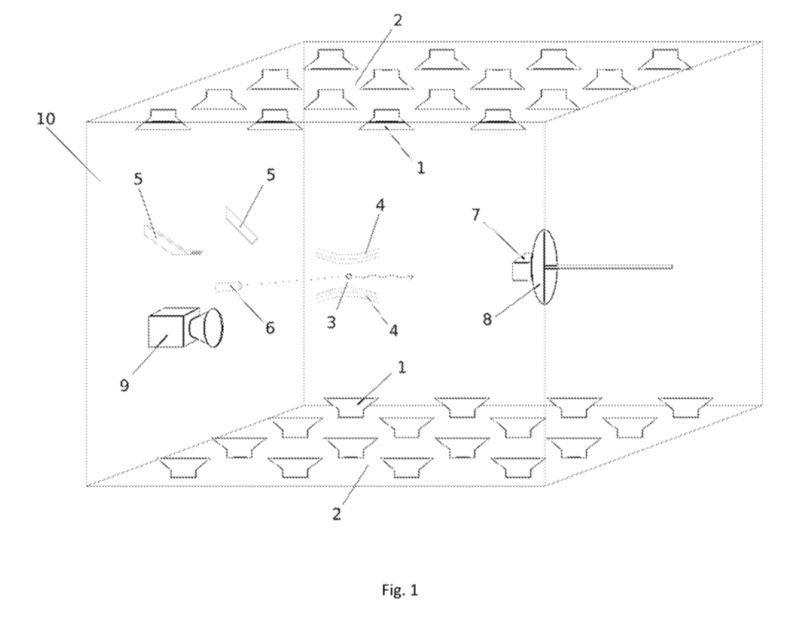 Figure 1 from the published patent shows the non-contact printing apparatus. Image via Osvaldas Putkis/Neurotechnology. 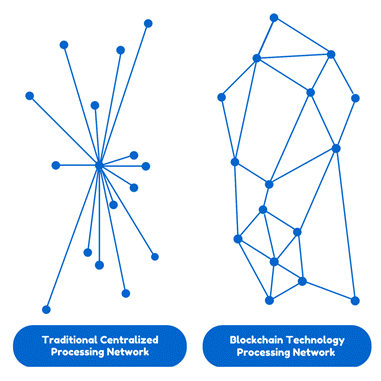 By offering such versatility, Neurotechnology intends to develop a unique 3D printer device which could 3D print a wide range of materials and possibly allow for the creation of 3D printed objects with embedded components and electronics. According to Neurotechnology, the Lithuanian company is currently inviting other organizations to support development of the project and ultrasonic particle manipulation technology. 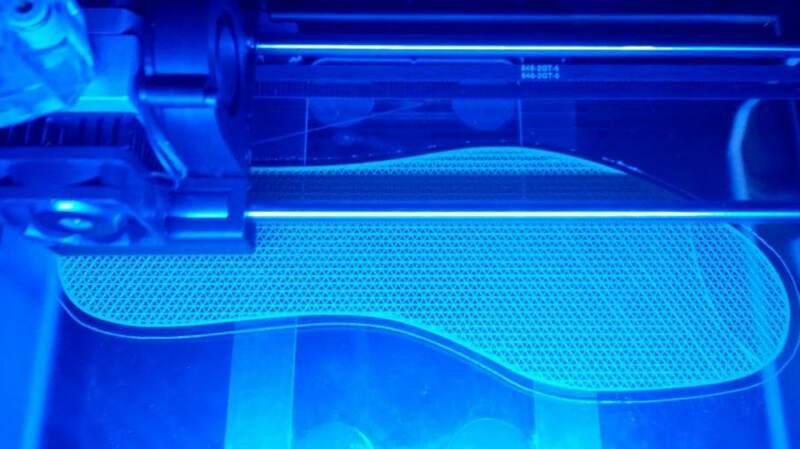 If you’d like to 3D print your own acoustic tractor beam then you can download the files here. 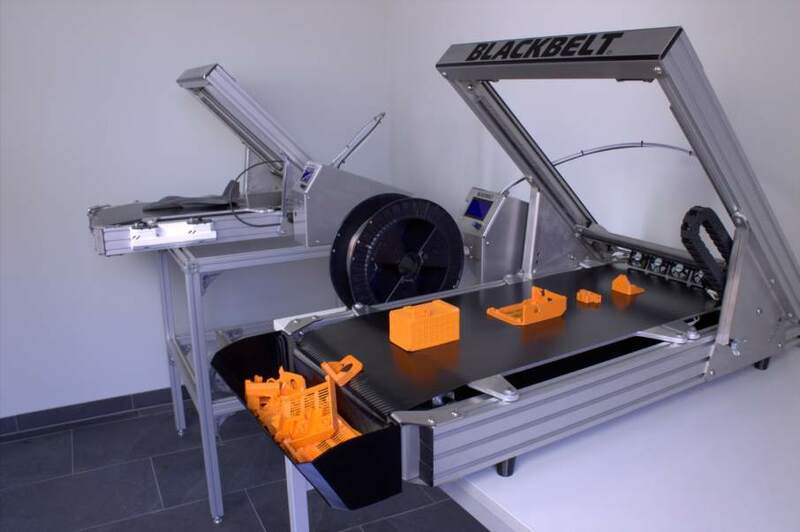 Blackbelt has finally released further details of its 3D printer that combines 3 print heads with a conveyor belt system. The team at Blackbelt have caused quite a stir on social media with teases of the device and have now unveiled its full capabilities. 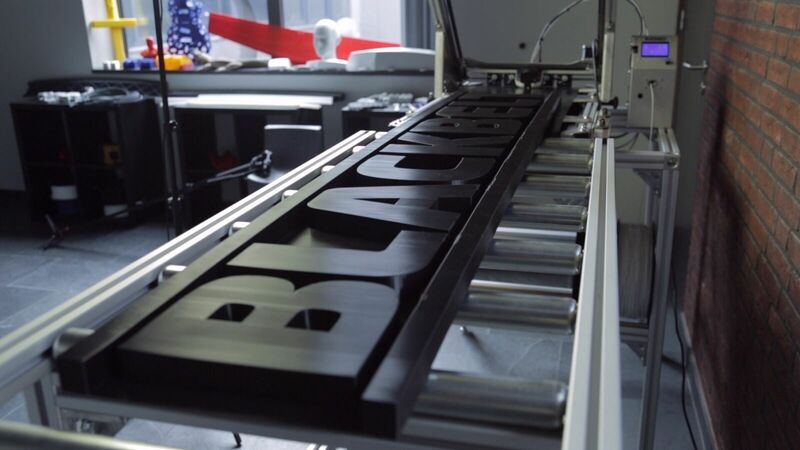 Aimed at producing large-scale, continuous prints and for series production, the Blackbelt machine brings a new way of thinking to 3D printing. 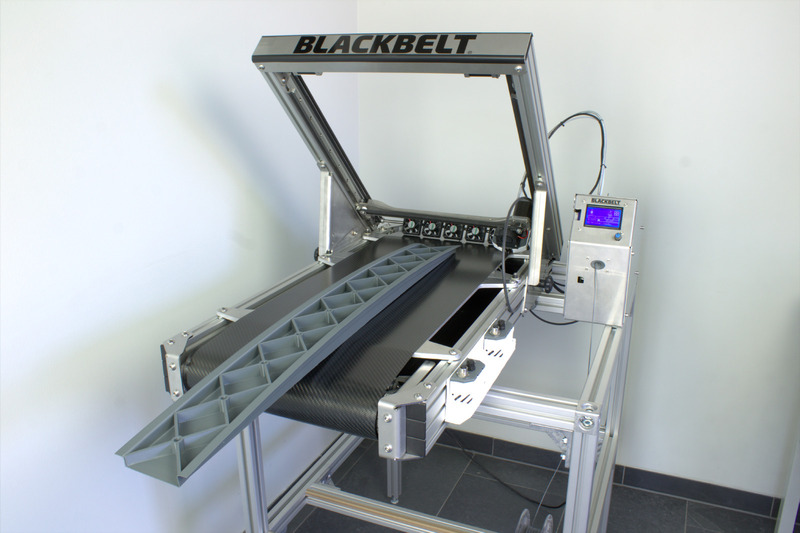 Conveyor belts are often associated with factory production and it seems appropriate for Blackbelt’s device to incorporate this belt system. 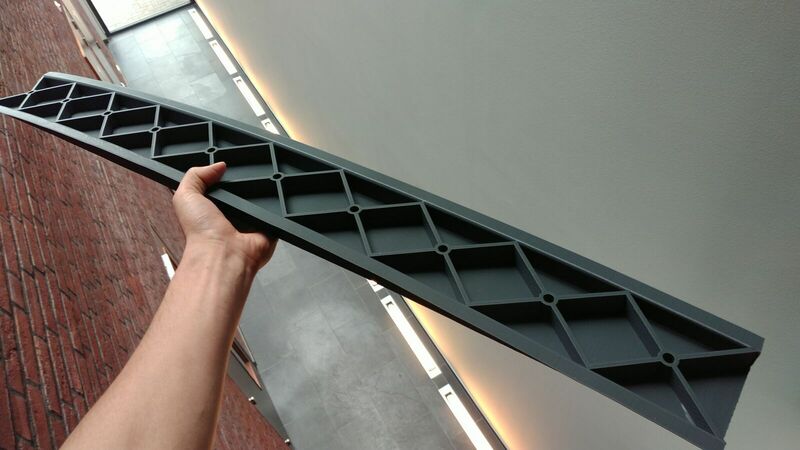 With many companies within the 3D printing industry looking at how to advance their machines for mass manufacturing, Blackbelt has a novel approach of bringing the conveyor belt to the 3D printer. 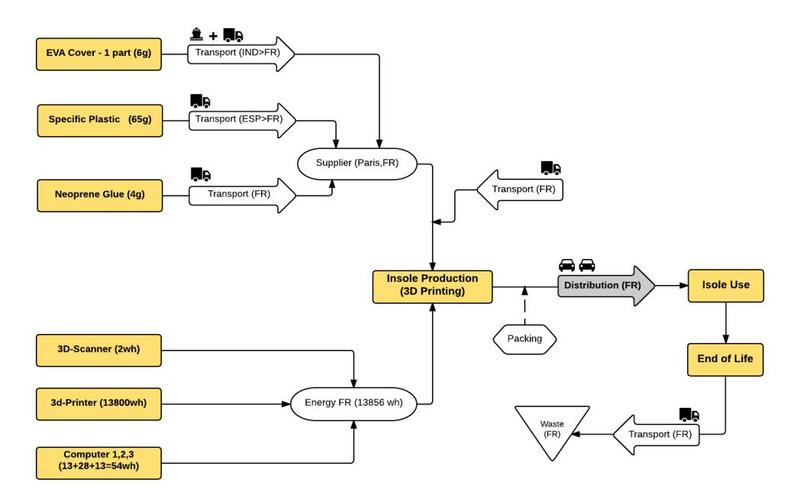 3D printing bureau Voodoo Manufacturing has similarly had this brainwave recently as it has incorporated a robotic arm and conveyor belt to automate its 3D printer factory. The Blackbelt 3D printer houses its 3 print heads on an X-Y actuation system, with the Z-axis in the form of a conveyor belt. This allows for theoretically infinite sized horizontal parts. The idea of infinite size is something Stratasys is addressing with its Infinite Build 3D printer. The device is currently undergoing testing at Ford Motors. Not only does the machine’s conveyor belt enable endless horizontal size, its functionality as a moving print bed allows for continuous printing. The printer can hold a container, as shown, that can collect finished parts enabling the machine to keep running. Due to the X-Y actuation system’s print angle it is possible to print support-free overhangs. The machine is by default set to print at 45° but this can be adjusted to be lower at 15°, 25° or 34°. However, Blackbelt do explain that some prints may require a starting geometry in order to do this, as shown. 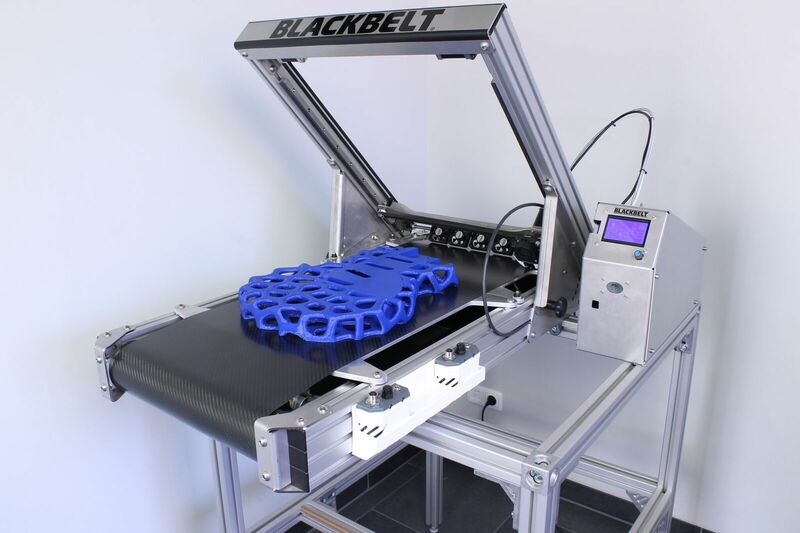 The Blackbelt 3D printer will release in two formats, a desktop version and a stand-alone version which includes standing frame and roller table to realize the large-scale possibilities of the device. – Print angle adjustable: 15°/ 25°/ 34°/ 45° – 45° by default, some parts come out better at lower angles. – Print heads: nozzle sizes 0.4/ 0.6/ 0.8 mm come with the printer. Further sizes will be available. 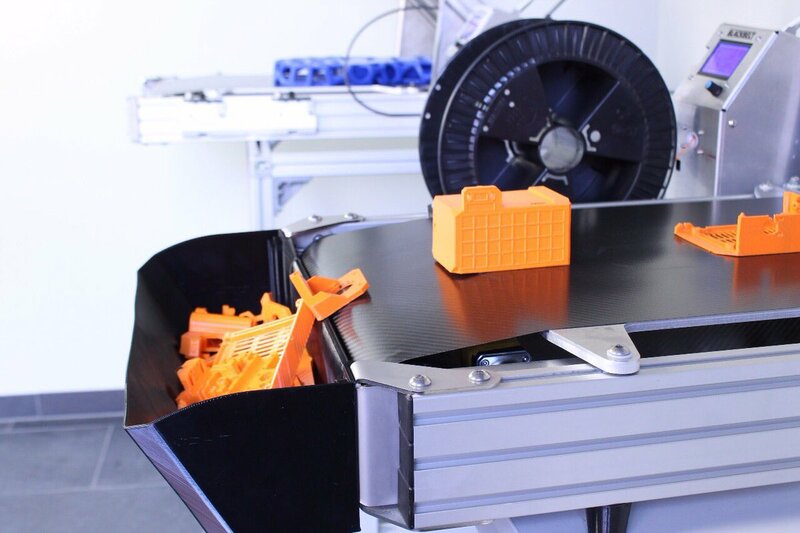 The Blackbelt 3D printer will launch on Kickstarter, with further details expected to be announced on Friday May 12th.